*Please CONTACT US for a shipping rate quote. 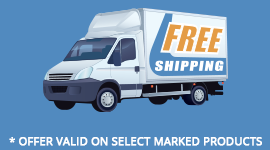 As this is an OVER-WEIGHT item, we must special quote shipping. The 3100 series is one of Kendall Howard's best looking LINIER(TM) enclosures. Our design is packed with some of the most popular rack features for a price virtually anyone can afford. 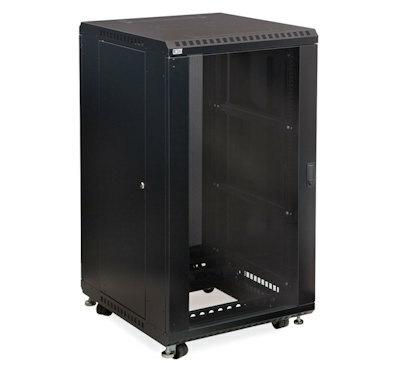 Built with a 24" depth, this LINIER(TM) Server Cabinet is suitable for telecom and datacom systems, A/V equipment, and other small network equipment. The cabinet features laser knockouts allowing you to install fans, while removable slots provide numerous cable routing options. When you need a low cost solution loaded with features, the LINIER® brand delivers big! Casters and levelers are preinstalled to allow you to easily move and load your system into the desired location. (Rack hardware not included.). 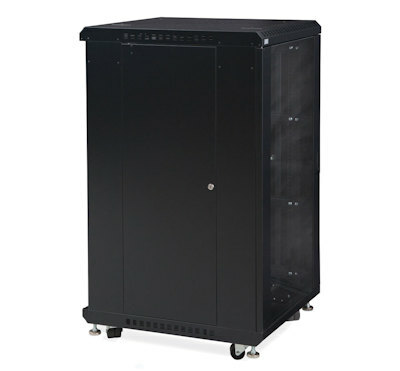 The top of the server cabinet includes removable laser knockouts for cable access and added versatility. For a completely different look, the side panels are both removable and lockable giving you the option to create the cabinet that best suits your needs. Includes two sets of adjustable, vertical rails which extend to a maximum depth of 24" for versatile mounting options. Both doors are equipped with locks to help protect and secure your valuable equipment. The locking tempered glass door allows installers to easily access and view their network equipment. The locking perforated door promotes better air circulation within the cabinet. This vented design is especially helpful for equipment that generates a lot of heat, such as servers, UPS's, and more. Includes one locking tempered glass door and one locking vented door. SHIPPING NOTICE: Due to the 141lb shipping weight, this product MUST ship freight and will be QUOTED after the checkout process.